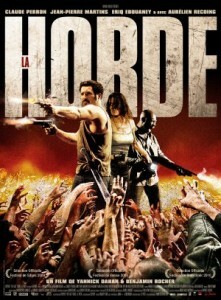 My second favorite film of SHOCKtober, The Horde is a French zombie apocalypse tale. A group of police are going after a drug lord who is responsible for killing a colleague. They invade the condemned high-rise where the drug lord lives, screw up and get captured. But then zombies happen and they all need to team up to survive. This movie is sooooo good. Unless you just cannot possibly tolerate subtitles, you must see this film if you like zombie movies. It takes the best elements of an action film and the best elements of a zombie film, and you get a high energy zombie survival action movie that is great from beginning to end. 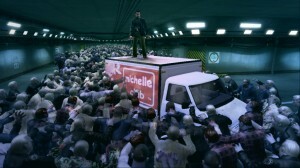 and that the movie reminds me at times of Dead Rising is a huge plus. But it also reminds me of Left 4 Dead as well. 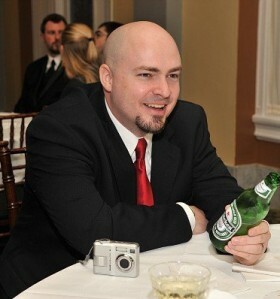 In fact, lots of the movie reminds me of a video game, but not in a dumb way like that terrible Doom movie. It is a crime that I haven’t bought this on Blu-ray yet, but then again, it’s available on Netflix Instant Streaming, where I have watched it three or four times, so maybe I can be forgiven.